It’s been a long time coming, but I am finally sharing my thoughts of the E.L.F. 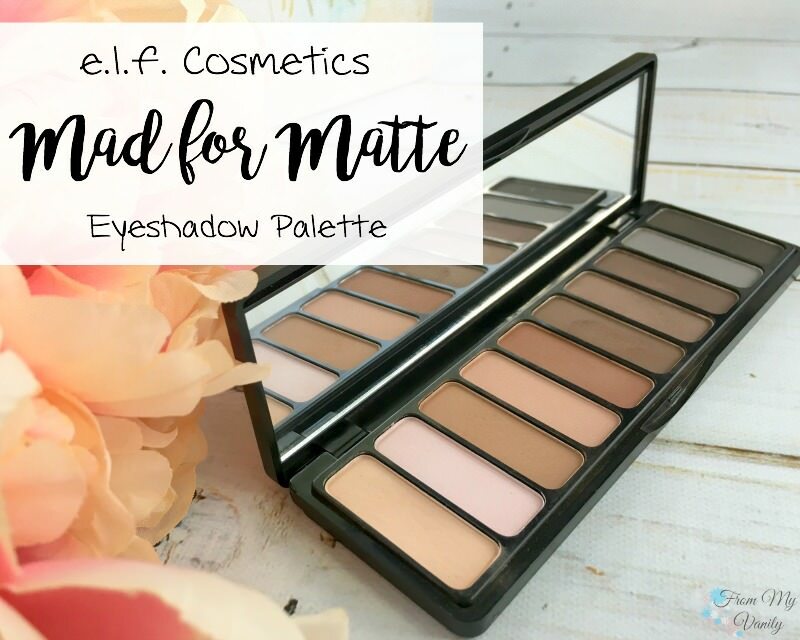 Cosmetics Mad for Matte palette! 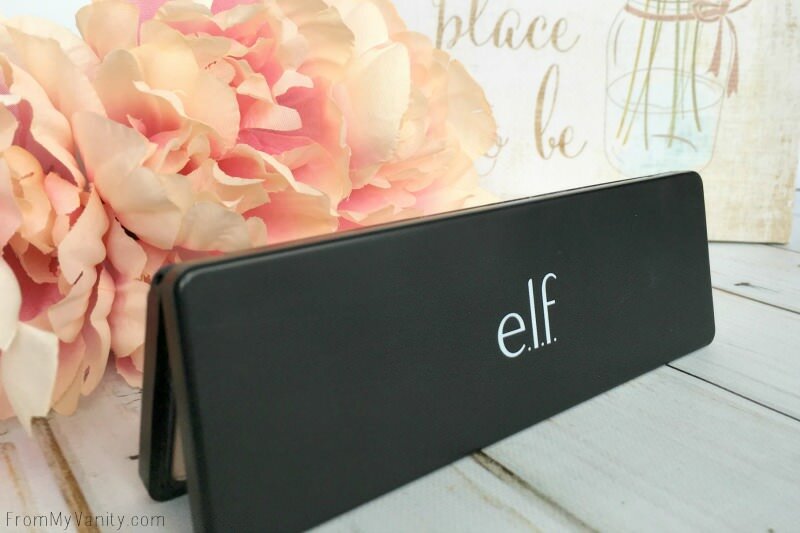 I’ve featured this palette in a few posts already — such as my Waterproof Summer Makeup collab and the 3 Ways I Enjoy Mom Time — so I figured it was past time to share a review on this all-matte palette from the drugstore! 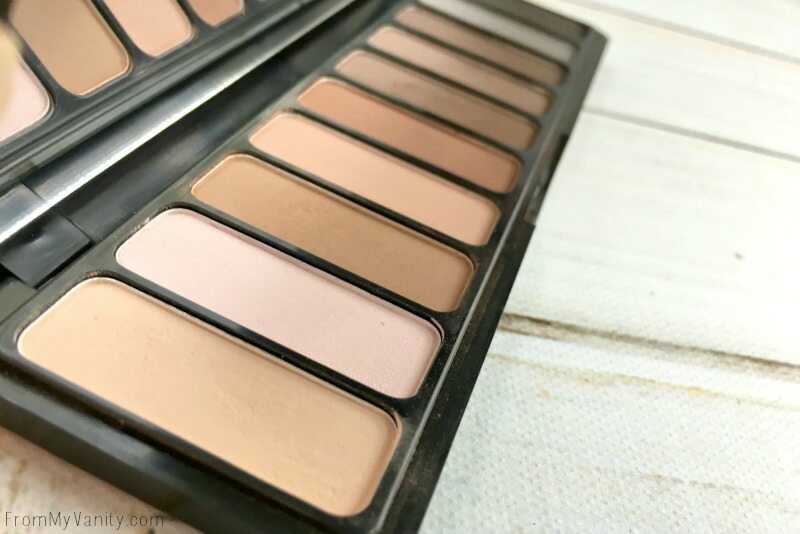 I am thinking of doing a “best matte palettes from the drugstore”, or maybe a “best and worst matte palettes from the drugstore”…because I feel like most of the time the drugstore can’t get matte shadows right. But I have certainly found a few gems that perform just as well as high end! So…if you would like to see a post like that, let me know in the comments below! This palette retails for $10, which breaks down to just $1 per shadow. Pretty stinkin’ affordable! As an added bonus, e.l.f. Cosmetics just came to Ulta so not only can you redeem your points for money off…but you can also use the $3.50 off of $15 (or $3.50 off of $10) that are almost always available to use on drugstore makeup. Okay, so let’s talk about the consistency of these matte eyeshadows. They are not creamy or buttery — like LORAC PRO shadows are well known for. They definitely feel dry, yet at the same time they swatch pretty well. Nothing impressive when you see the swatches, but eyeshadows often perform a lot different when using brushes on the eyes than how they appear in finger swatches. 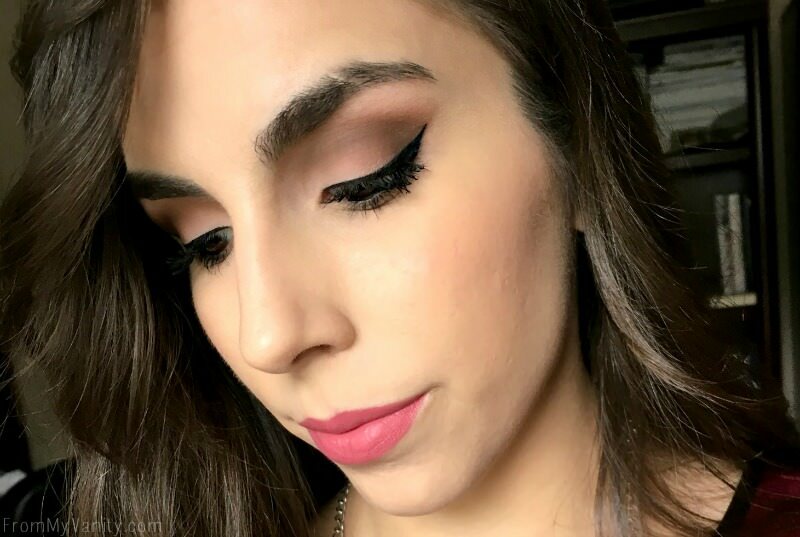 As you can see from the picture above…the eyeshadows perform really well! I think I used 4 or 5 shadows from the Mad for Matte palette to create this and they all blended beautifully, honestly no issues there. I’ve owned this palette for over a month and have used every shadow in this palette and am really pleased with the looks I create every time I use it. Was This Helpful? Share my Pin! I’m very oer mattes but it’s great to see a drugstore product work well! what, if any, primer did you use? Wow! $10 for this is a bargain! I am such a nuetral matte kind a gal. Gorgeous eye look too! I need lessons! I wish these cheaper versions of things had been available when I paid full price for my UD or KvD palettes. This actually looks like a really nice palette! Swatches can definitely be deceiving; I’ve bought many palettes that swatched amazingly but when applied to the eyes didn’t show up & didn’t blend well. I see what you mean about the difference between the swatches and the actual use of the palette. I’m definitely going to have to purchase this palette! I would also love to see a post on best matte drug store makeup! Can’t go wrong with a ten dollar palette! This looks great on you, and I’m definitely interested in picking up one for myself! Wow! For $10 bucks this is a steal for sure!!! Your eye makeup is flawless! Any tips? I didn’t know about this palette! That’s an awesome deal! I love neutral colors, but wear them so infrequently I can’t justify the cost of a more expensive palette. I can get behind this one, though! I totally agree! For the price tag, it’s awesome! 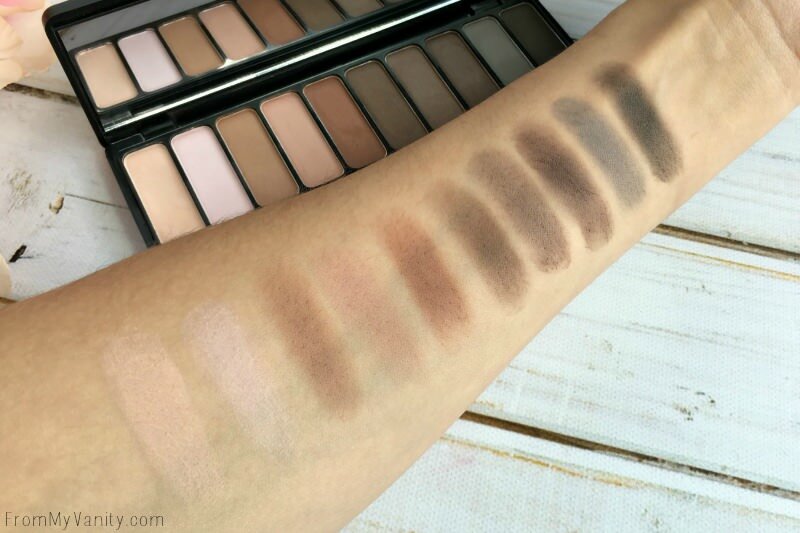 I love that they did an all matte palette and the colors are so universally flattering! Love the look you created! I’ve actually never used ELF shadows! I have just purchased this palette and am loving all the shades. It isn’t the same quality as high end palettes but for the money it’s not at all bad. It’s workable for sure. Yes, it definitely is nice for the price — and with drugstore brands it’s a lot more likely to go on sale and be able to purchase for cheaper! I just heard they came out with a Mad for Matte 2! I am soooo curious to see if the quality is as good as this one! This looks really nice!! I love that there is a cheaper matte pallet! I am getting tired of the pallets with one or two light mattes for your brow bone and the rest shimmery unless it’s the really dark mattes for the corners of the eye. Great find and awesome tip! !